We’ve always been pioneers and innovators, staying ahead of the curve…Period! Most importantly, we’ve always stayed attuned to our community’s voice and needs; providing a space to create impactful connections, interactive educational atmospheres and immersive brand experiences. Well, guess what? We’re doing it again! As our collective continues to thrive and evolve. We’re leading the charge by continuing to provide the tools and support needed as bloggers become brands, entrepreneurs become empire builders and creatives become captains of industry. In this newest chapter we’re bringing you The Media & Entrepreneur Experience or, as we lovingly refer to it…The ME Experience. So, what exactly is The ME Experience? We’re so glad you asked. 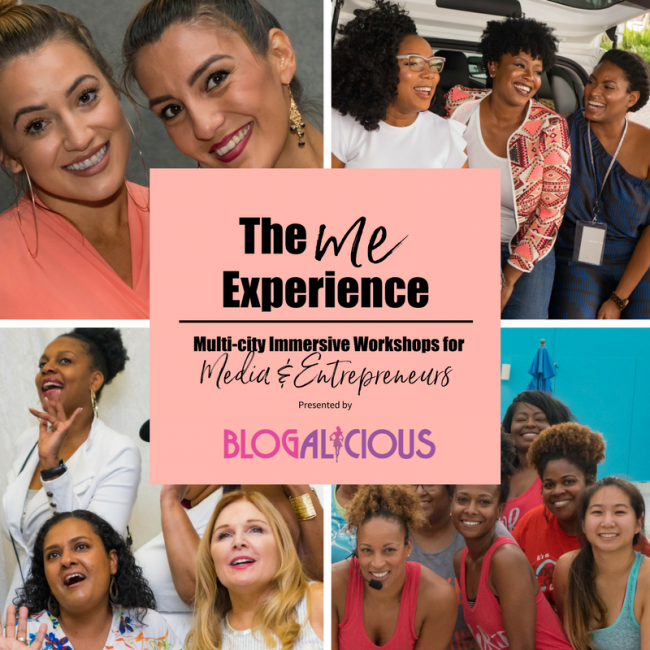 The ME Experience is a multi-city tour with intimate and immersive 1-day workshop intensives geared towards high-engaging influencers and impactful enterprises who are prepared for holistic business and interpersonal growth. Who is The ME Experience for? We’re welcoming all media professionals, entrepreneurs, and successful small businesses and high-engaging influencers. Our 1-day tour stops are meant to be highly intimate and intensive and will be limited to 50 – 75 attendees. Keep an eye out for registration for our Atlanta stop, opening up soon! We hope that you’re as excited as we are and we can’t wait to see you at The ME Experience! !